Sometimes you need to send a message to a bunch of recipients. You have 2 options if using Voicemail Pro. Users Personal Distribution List (Intuity Mode ONLY). 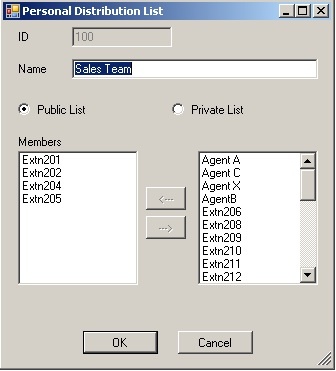 In 9.0, VM Pro can modify users distribution lists. (in pre 9.0 systems, you can only modify on the mailbox using the TUI) Each user can have 20 Distribution lists, and each list can have up to 360 mailboxes in it. These lists can be public (can be used by anyone) or private (Used by everyone, but only the owner can modify the list.). 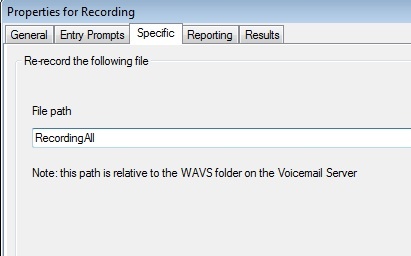 Log into the Voicemail Pro Admin client. Click the name of the server in the upper right and go to Users. Find the user you wish to create a Distribution list for, and right click, then “MailBox Details”. Select the Personal Distribution lists tab. Here you can name it, and add users. You do need to give the list a unique number and a name, then add users to the list and save. Then, when you log into your own mailbox, you can press 1 to record a new message. You will send it to the number you set in the above step….DONE! The next option is a very easy way, if the people i need to send a message to, already exist in a Hunt Group. BUT, if teh hunt group is being used for general messages, then this will not work. Log into Manager, select the Hunt Group you wish to set, and go to the voicemail tab. In there, tic the “Broadcast” box. Save the config…DONE! Now, when a message is left, it sends that message to all users mailboxes, it does not save anything in the Hunt Groups mailbox. Voicemail Pro Module to customize a list for everyone. In Voicemail Pro, make a new module, and call it “MessageAll”. Add an “Edit Play List” action. in the action, set it up to record a file named whatever you want. Here we use “RecordingAll”. Make that go to a new Generic action. In the specific tab, enter the users you want to route the message to, and make it a “Generic Free Format Command”. When you address the users, just enter their extension numbers, followed by the “#” sign. At the end of the list, use a double “#” to end it. I keep my lists to 10 users. If you need more, just add another Generic action after the main one and so on. To use, just dial 499. You will be prompted to press 1 to listen to the message, and 2 to record a new message. Obviously 2, then record at the tone, and press # when finished recording. As soon as you press “#”, the message is sent.